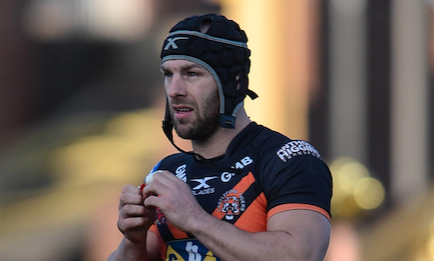 Luke Gale and Ben Roberts will return for Castleford on Saturday, while 13 players who featured in Catalans’ Cup win could play. Castleford Tigers head coach Daryl Powell made three changes to his side that beat Warrington Wolves two weeks ago. Gale, Roberts and Adam Milner replace Jamie Ellis, Calum Turner and Kieran Gill. Steve McNamara could play 13 players who featured in their Challenge Cup final victory last weekend but he has made six changes to his 19-man squad. Greg Bird, Vincent Duport, Lucas Albert, Thibaud Margalet, Lambert Belmas and Alrix Da Costa come in for Jason Baitieri, Micky McIlorum, Fouad Yaha, Mika Simon, Iain Thornley and Louis Anderson. The Super 8s game takes place at the Mend-A-Hose Jungle on Saturday, 7:30pm kick-off. Tigers 19-man squad: James Clare, Mitch Clark, Greg Eden, Luke Gale, Oliver Holmes, Will Maher, Nathan Massey, Peter Mata’utia, Mike McMeeken, Paul McShane, Grant Millington, Adam Milner, Junior Moors, Ben Roberts, Michael Shenton, Jake Trueman, Joe Wardle, Liam Watts, Jake Webster. Dragons 19-man squad: David Mead, Brayden Wiliame, Samisoni Langi, Remi Casty, Sam Moa, Ben Garcia, Greg Bird, Julian Bousquet, Vincent Duport, Thibaud Margalet, Lewis Tierney, Benjamin Jullien, Lucas Albert, Alrix Da Costa, Lambert Belmas, Tony Gigot, Mickael Goudemand, Josh Drinkwater, Kenny Edwards. Who will take the two points? Let us know your thoughts in the comments below.